Even being a small kid, I knew that something bigger than usual was coming up. 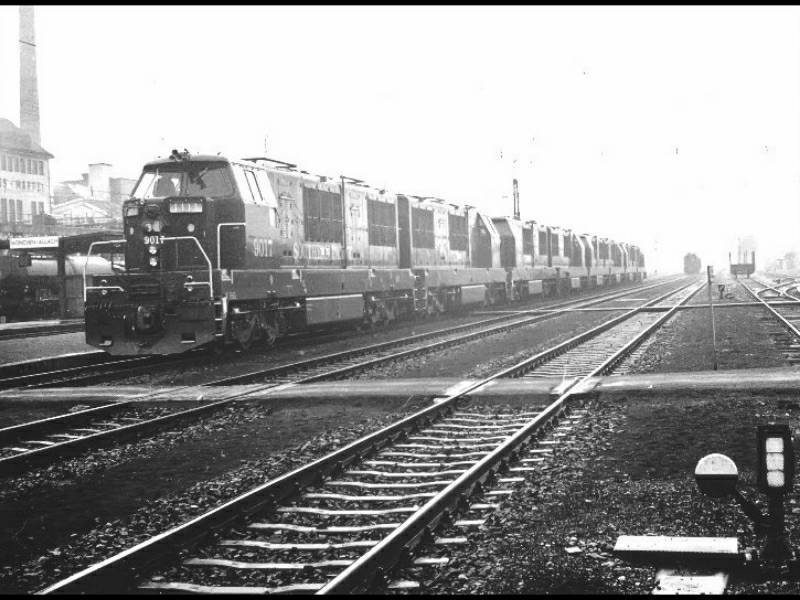 The heaps of paper my father Richard Oed brought home each evening to work on after we kids were sound asleep got larger and larger each week and my mother asked him nearly every day: “Are the locomotives finished yet?”. 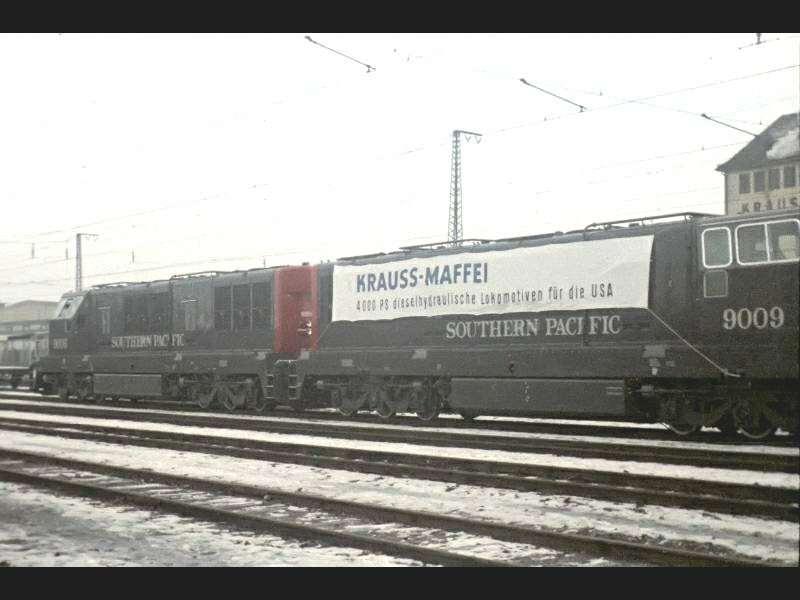 My father was the head of the design group for the “Amerika-Loks” (the nickname for the ML4000 C’C’ for the Southern Pacific) at Krauss-Maffei in Munich and the schedule was pressing at this time. 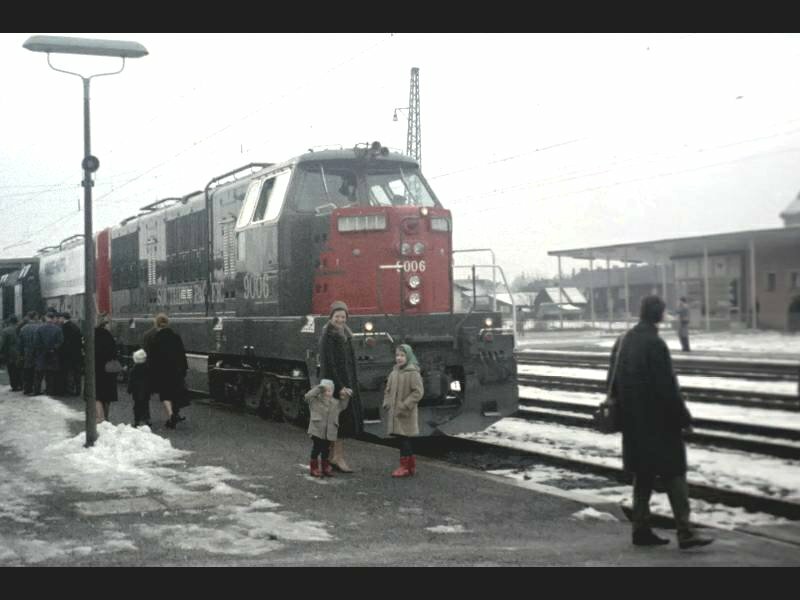 Finally, on an especially gray and cold day in late February 1964, my father called home: “They are ready and they are going to leave Munich today afternoon”. 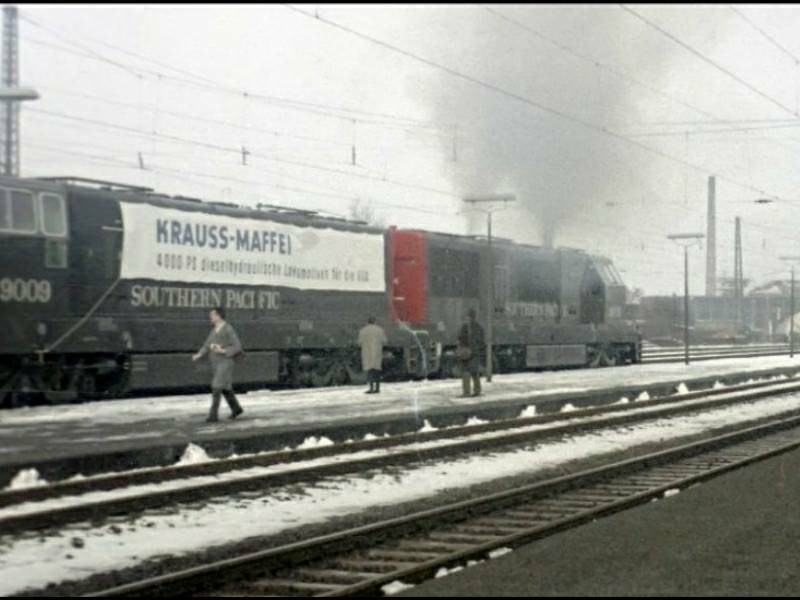 My mother grabbed me and one of my sisters and headed up from where we lived towards the Krauss-Maffei facility in Munich-Allach on the north side of the town. Once we left the train there, dad was nowhere to be seen! 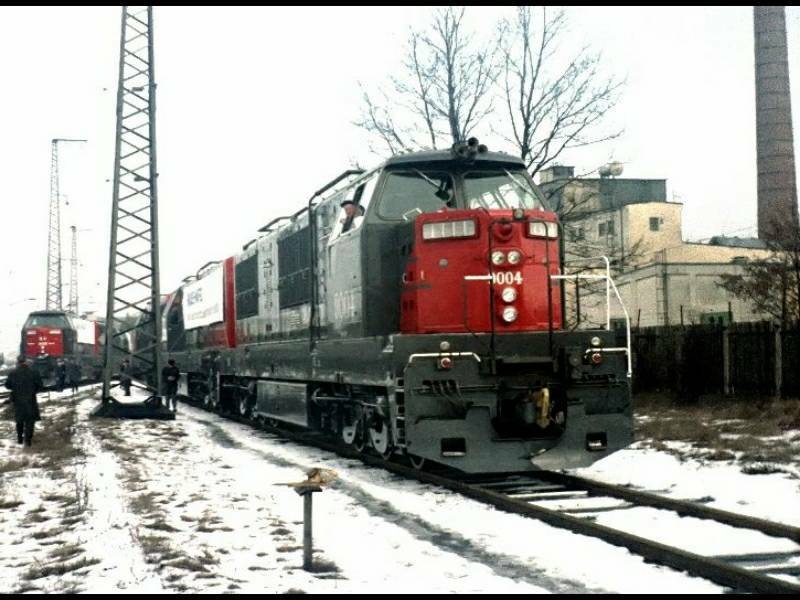 Finally we found him at the tracks connecting the site to the rails of the German Federal Railways (DB), where he took pictures of the units switching back and forth to be assembled in a train of seven ML4000’s. 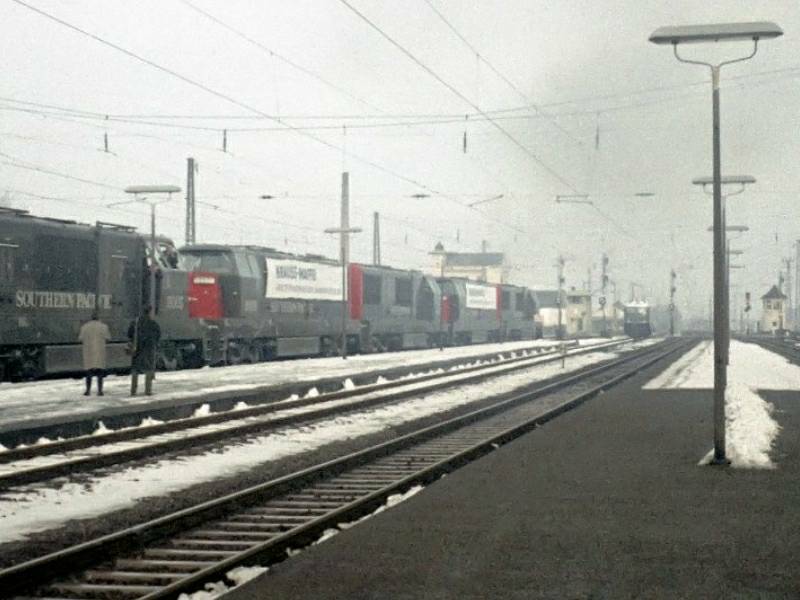 Once this train of what appeared to me being really, really big engines arrived at the platform at the Munich-Allach train station, a big crowd had already gathered there to marvel at them. 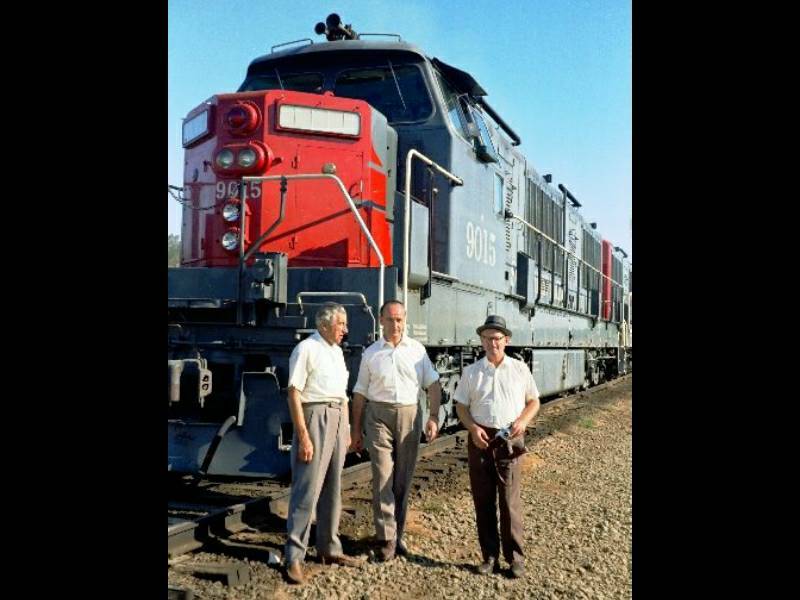 A lot of the relatives and friends of those designing and building these locomotives took this opportunity to see where all the time of their fathers, mothers, husbands, wifes or friends has gone during the last months. And I was there on the arms of my father or the hands of my mother as well! 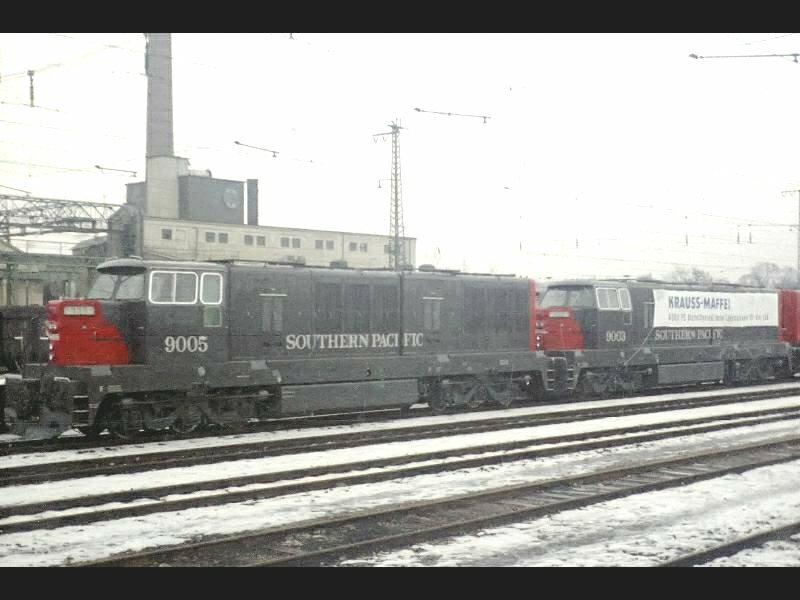 Pretty soon, the leading engine, SP unit number 9006 (I looked that one up, I was too small to remember the number! 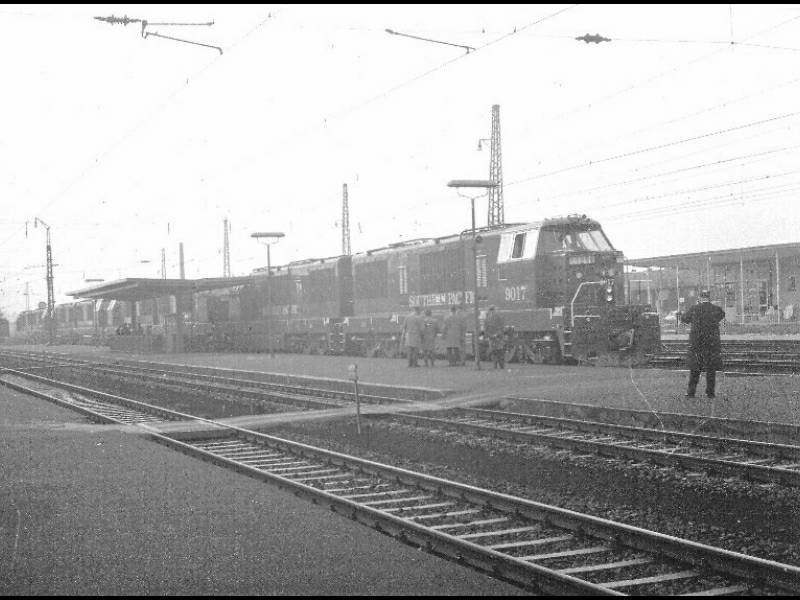 ), started up their two motors and clouds of black exhaust went up in the grey Munich sky. 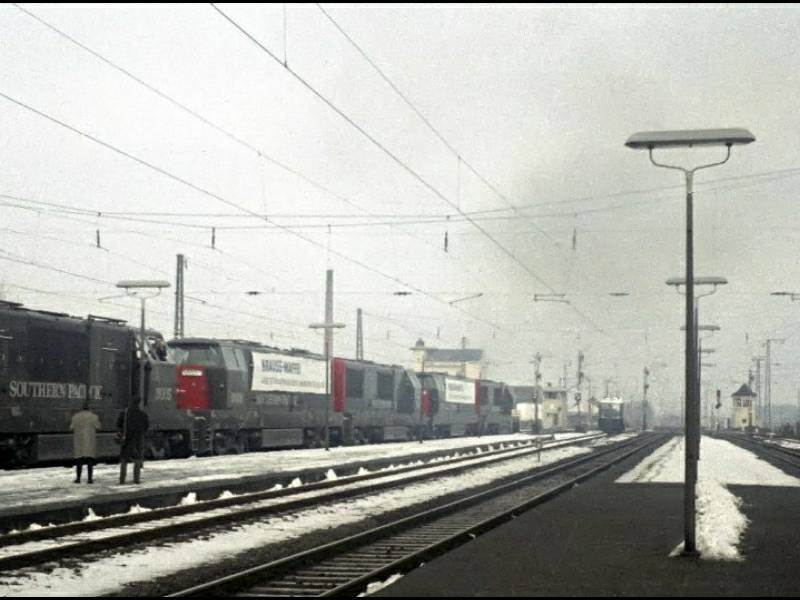 My mother asked anxiously if the motors are defective, remembering the stories about the locomotives of the first delivery, but dad explained to her that this was just that the engines haven’t been running long enough before and that this was pretty much OK.
and they were on their way to Bremerhaven to be shipped to Houston, Texas. 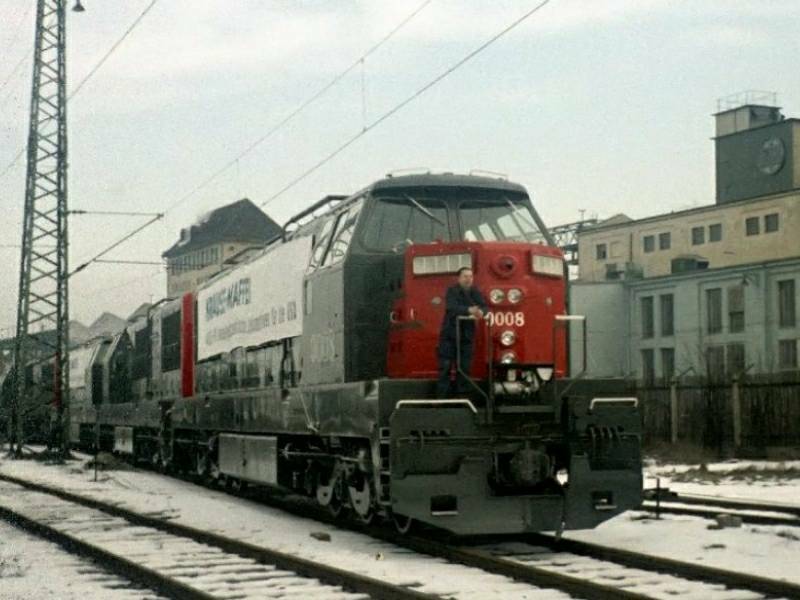 SP 9006 (L) Temporary left front handrails, horn, running lights; engines running for consist power. SP 9004 (T) Temporary left front handrails, horn, running lights. 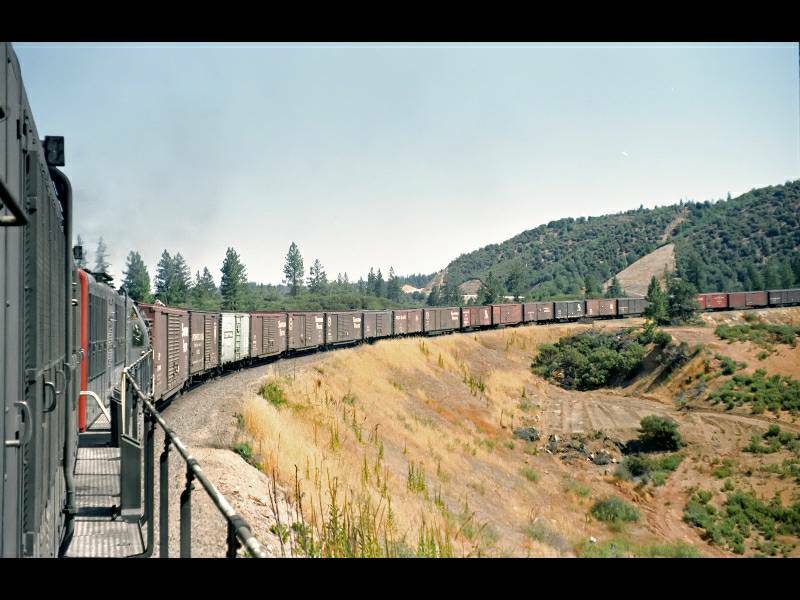 Note One: At time of delivery, all units were stripped of exterior side handrails and walkway platform extensions, to meet the tighter clearances of the DB. 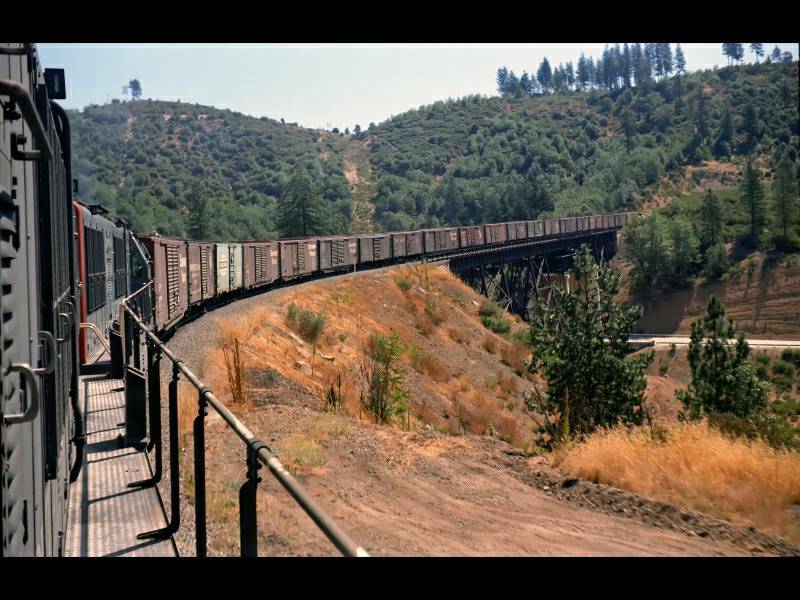 The end platform stanchions and a portion of their horizontal railing remained. 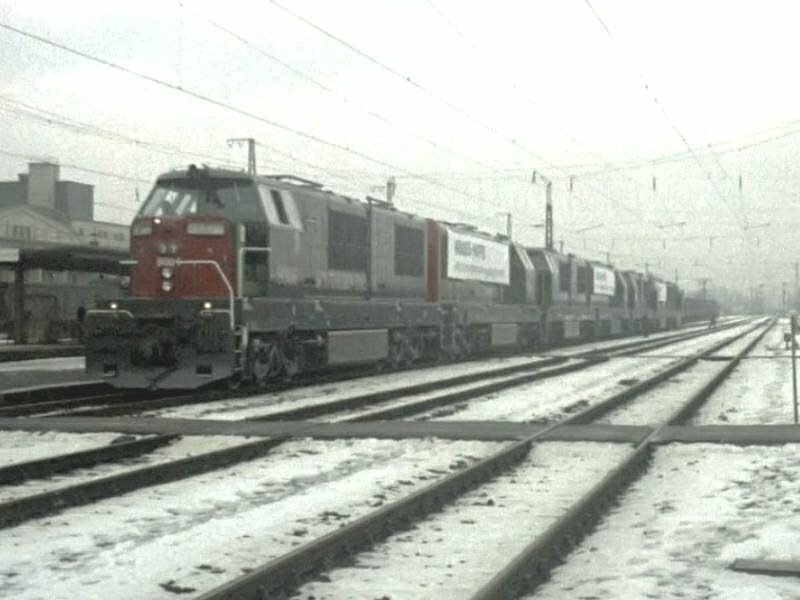 Temporary narrow-clearance railings, at the front left leading to the front cab door, were added to the "point" units of each delivery consist: 9004 & 9006 and 9016 & 9017. Note Two: The "bullseye" type radiator sight glasses (found on the hip of each radiator hood, both sides) were apparently in developmental transition at the time of the First Batch delivery. 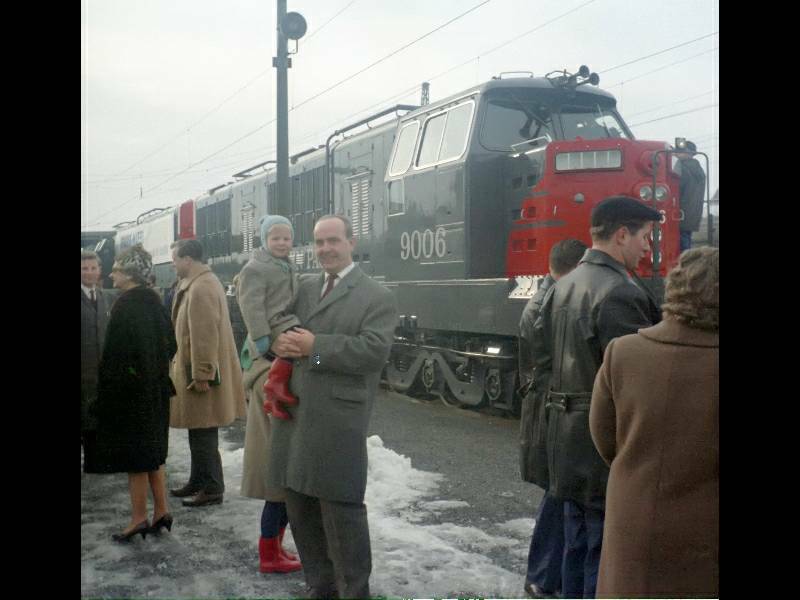 Units 9003, 9005, 9008 and 9009 departed with no sight glasses installed. 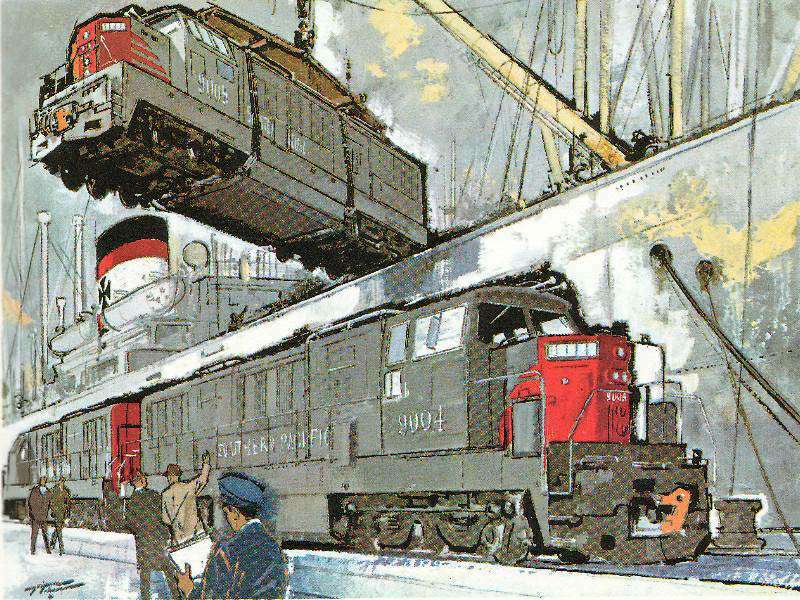 A later design (with a vertical glass allowing better visibility of water levels) was fitted to all units of the second delivery batch, and retrofitted to all units of the First Batch. 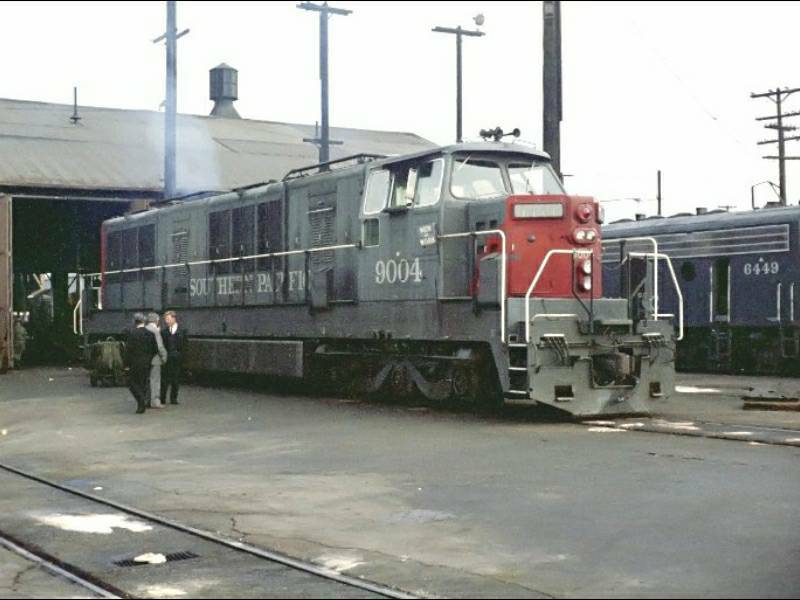 Units 9003 and 9007 operated with no replacements for some time and unit 9008 ran with only a partial set. There may have been others, but this is what has been documented so far. 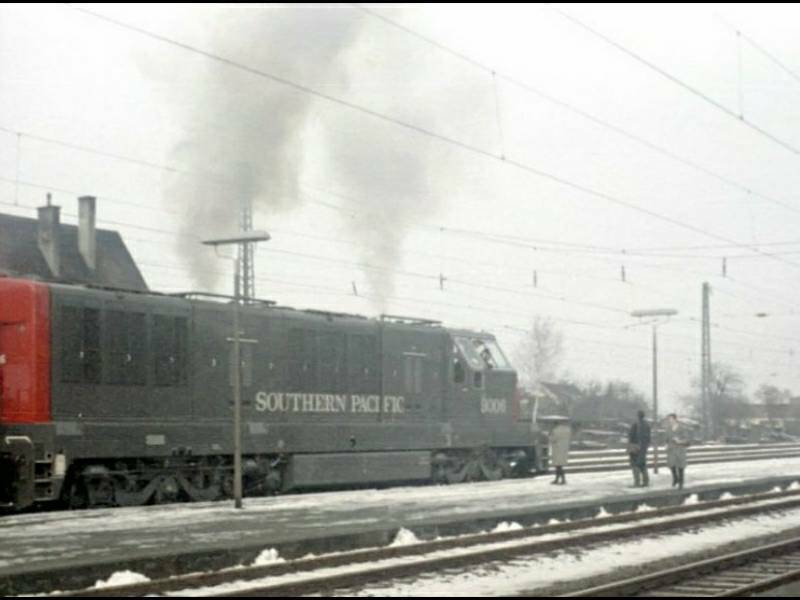 See "A Life Of Changes" and "SP's Modifications" for further details. 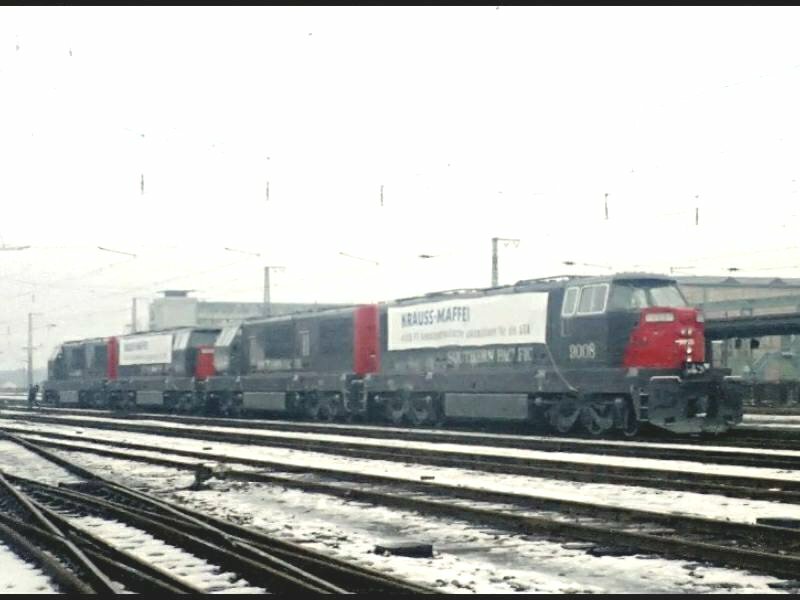 The first shipment sailed on February 21, 1964 aboard M/S Bärenfels of the DDG Hansa line. And mom, my sister and I went home after this event, exited, but somewhat glad to get out of the cold. And we all were pretty sure not to see those engines again. 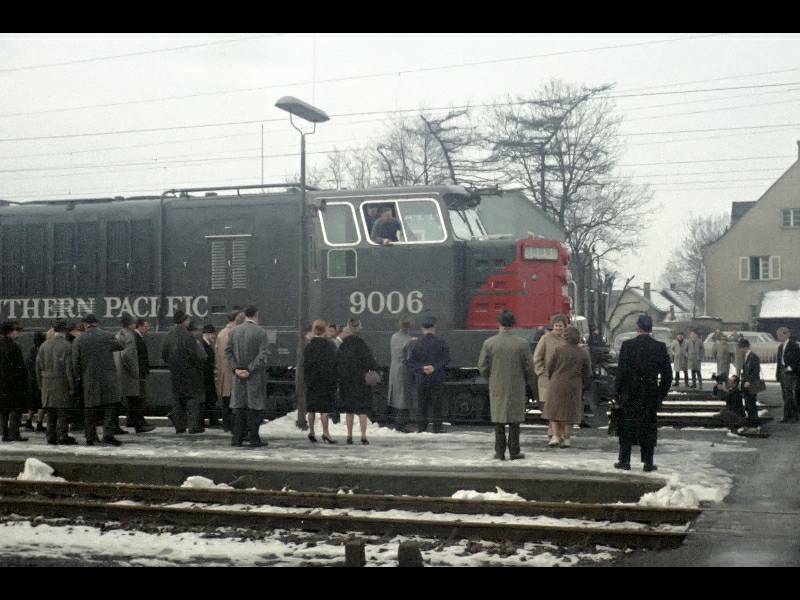 The next delivery took place a couple of weeks later in March 1964. 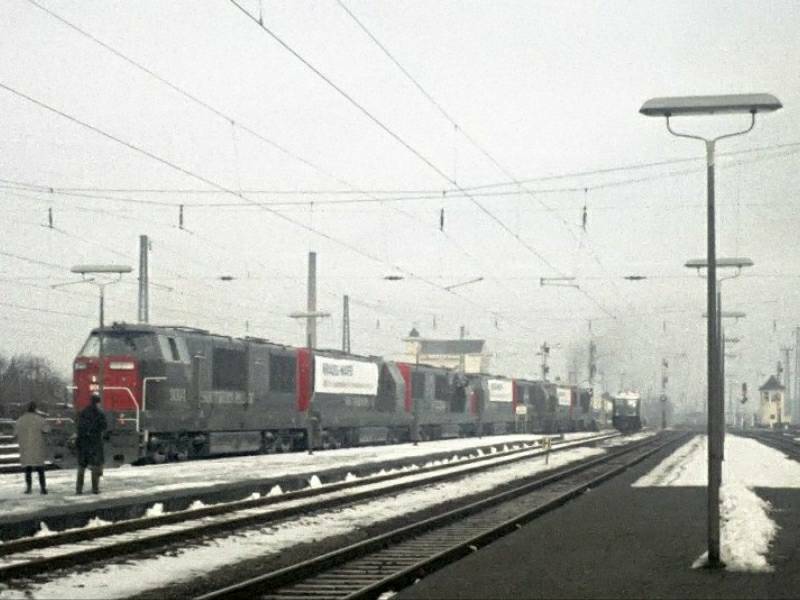 Judging from the pictures, not many people went there to see the #9010 through 9017 leaving Munich But at least, there was no snow anymore! A couple of months later, my father was traveling to California! Going to the US was still a big deal in the early sixties and it was his first (and only visit) to the States. 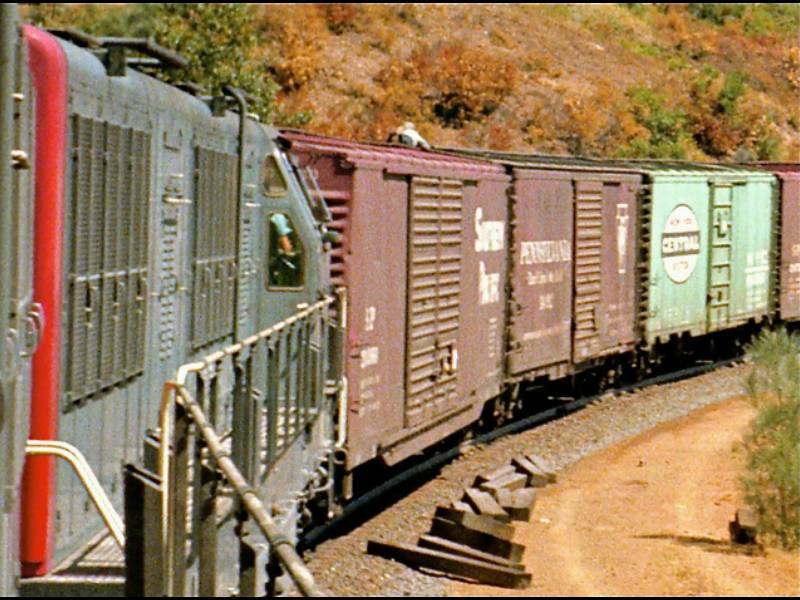 For us kids this meant that we didn’t see him for three long weeks while my mother and us kids stayed with my grandfather for vacation, waiting each day eagerly for the mailman and a letter from my father. 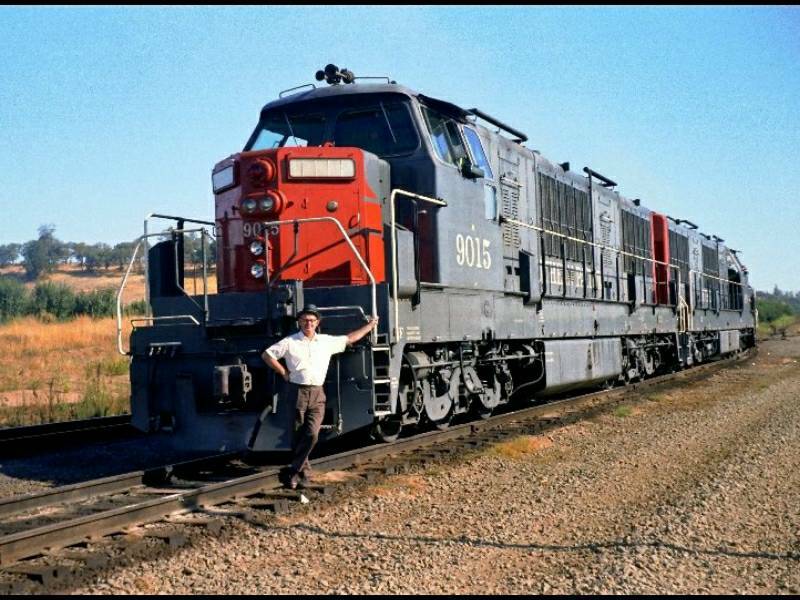 Once returned, he was pressed from all of us to tell about the adventures (so it looked to us as kids) he had while visiting the Southern Pacific in California and riding some of the trains with the famous locomotives. Most of the stories are forgotten now, but the pictures of his visit are still in our family’s photo album. 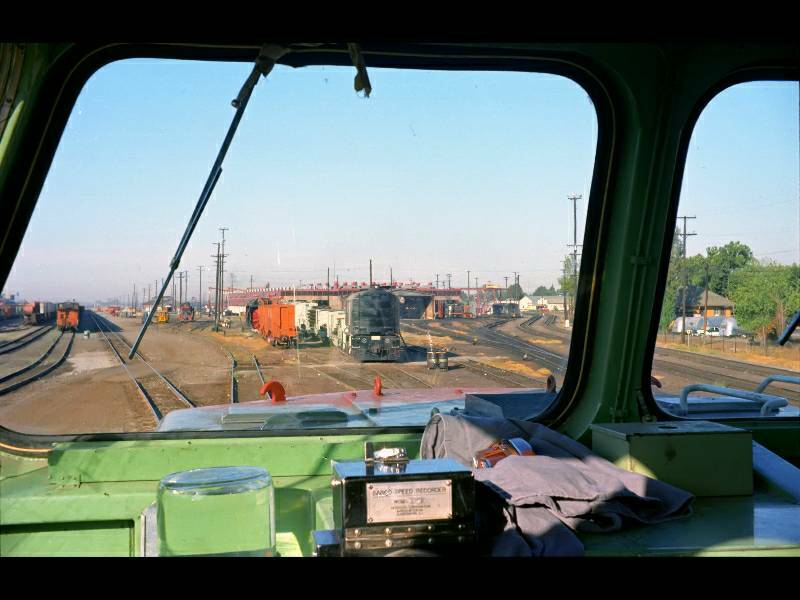 All of the following photos were taken during that visit in August of 1964. 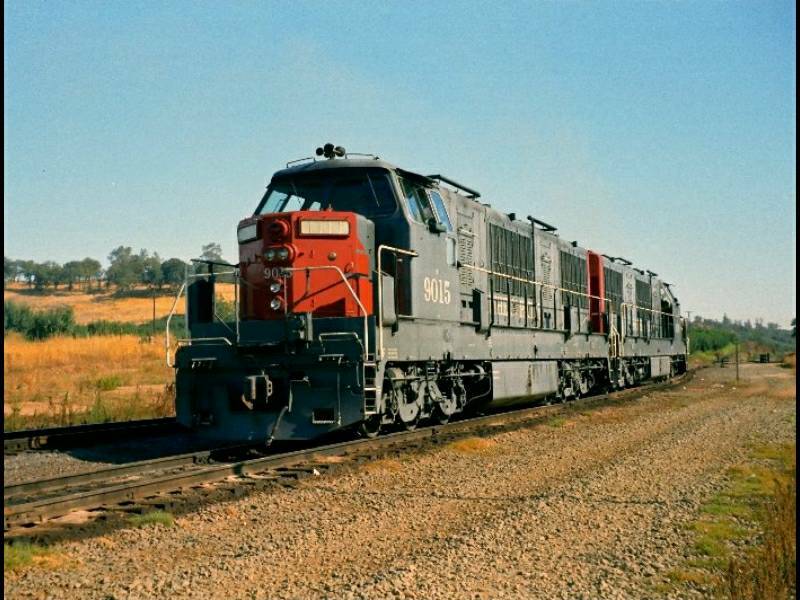 The photos show a two-unit K-M helper poised on the "helper siding" at Rocklin, California and used as a backdrop for group photos. 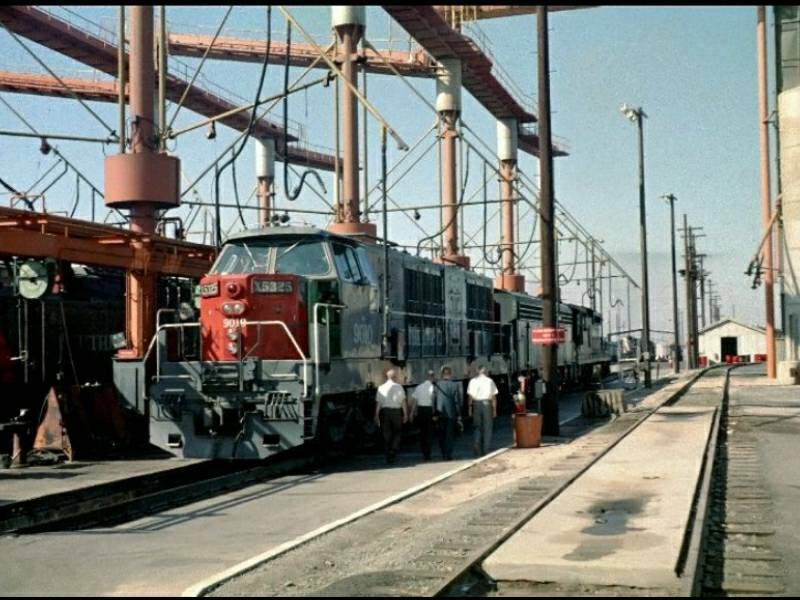 Richard says: The picture was taken on Thursday, August 20, 1964. 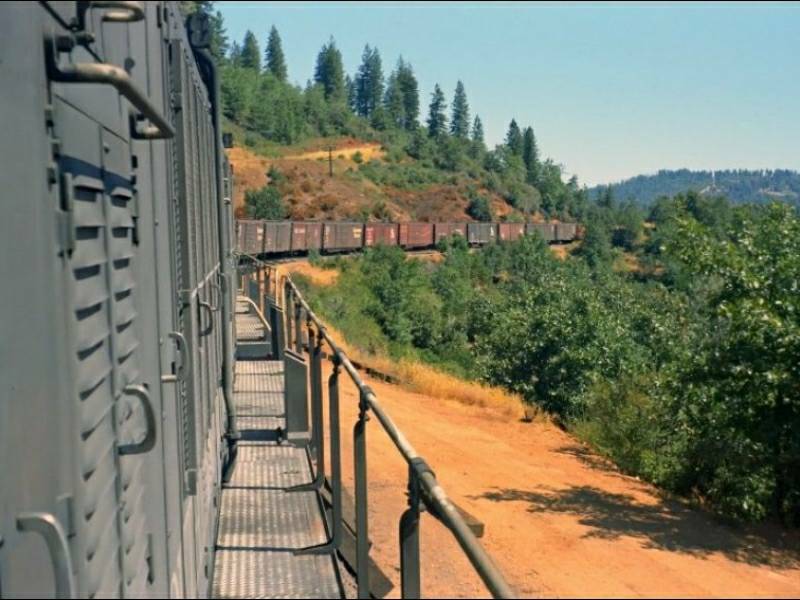 Here is the translation of the related part of (my father's) letter from August, 19: "Southern Pacific has moved a unit just for me from the normal road-duty and will let her run tomorrow with a train towards Norden along a mountain chain." 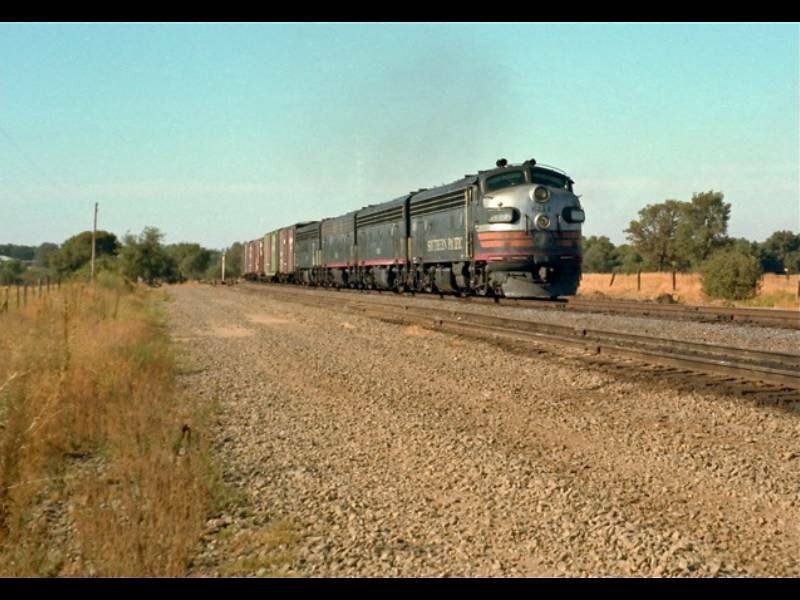 Here is that train: Extra 6244 East behind an A-B-B-B set of "Black Widow" F-units, seen approaching the two K-M's on August 20. The group shot at Rocklin has Richard Oed in the center, and on the right his SP Mechanical Department host, who has been tentatively identified as a Mr. Kurz and who evidently had a reasonably good command of spoken German; he had dinner later that day with Mr. and Mrs. Oed at the home of a Mr. Tiffe. 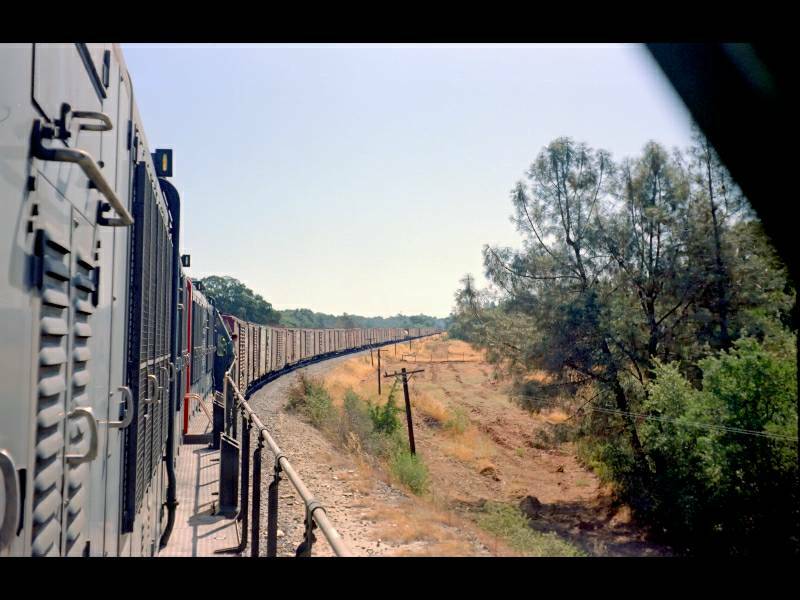 Looking along the train, one can spot a prone figure in white shirt and gray slacks, holding a camera on the roof of the SP boxcar immediately ahead of the helper units. Richard Oed's wife recalls that it was a member of the visiting party, very possibly the gentleman to the left in the group photo, and that Richard Sr. was quite a bit upset about this dangerous adventure. Still, we wonder where those photos are today! What did the future bring for the engines and my dad? 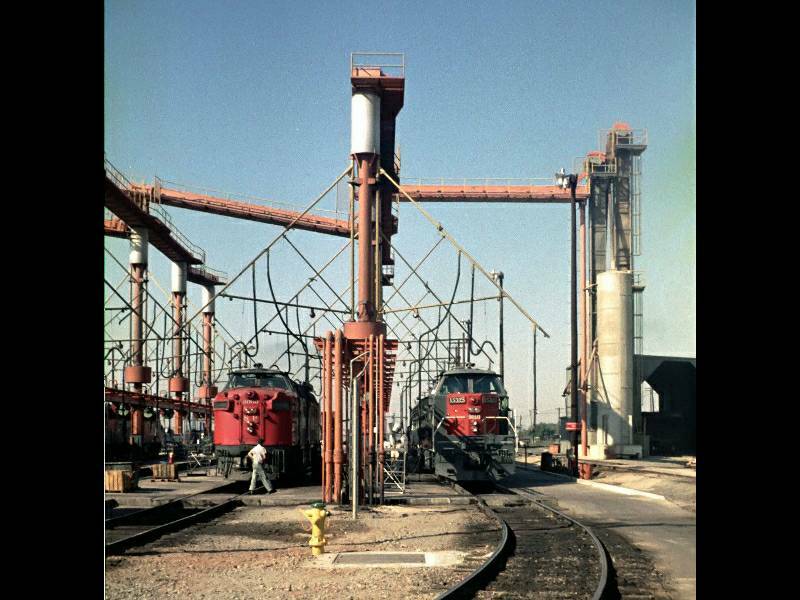 For the engines, their fate is well documented and still discussed. 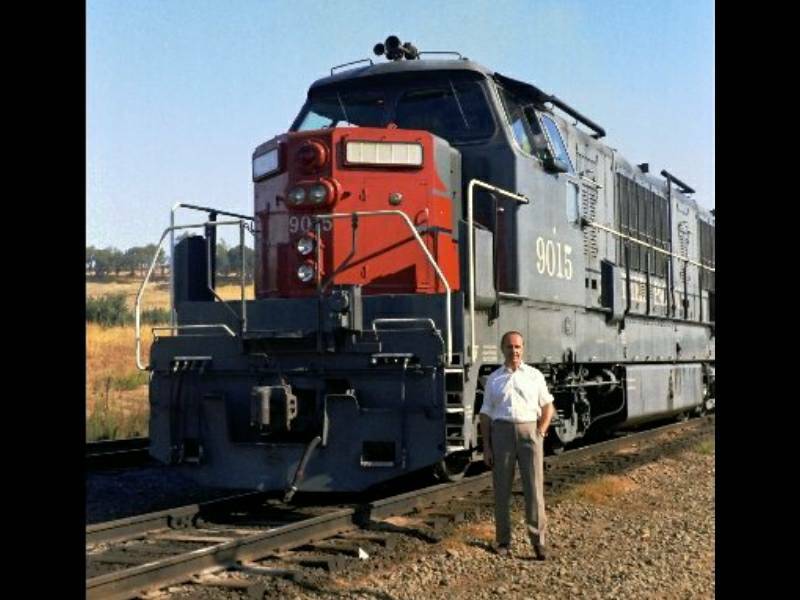 For my father, he stayed with Krauss-Maffei until he retired in 1982, last holding the position as the head of the design department for transportation systems. 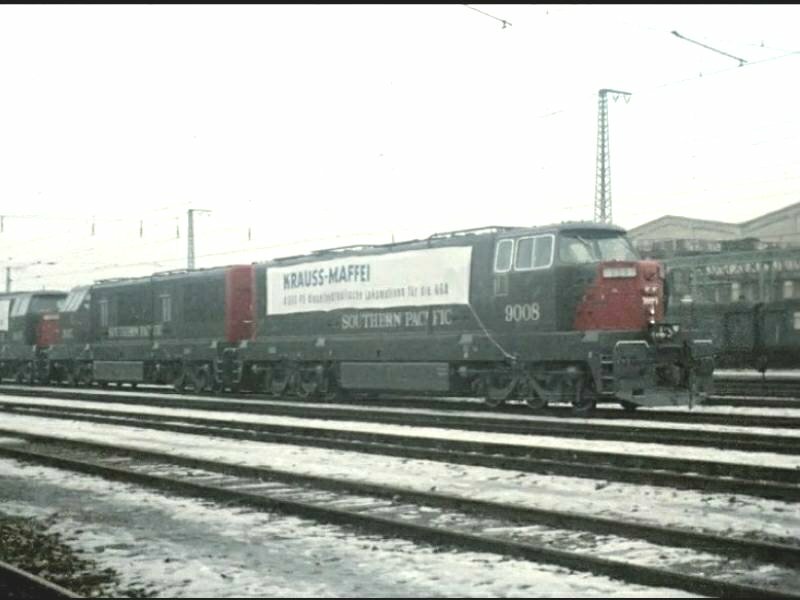 Between the delivery of the Krauts and his retirement, he was working on several developments for different rail-companies like the German Federal Railway, Vitoria Minas in Brasil, RENFE, Talgo and others. And most of them are still operating today.